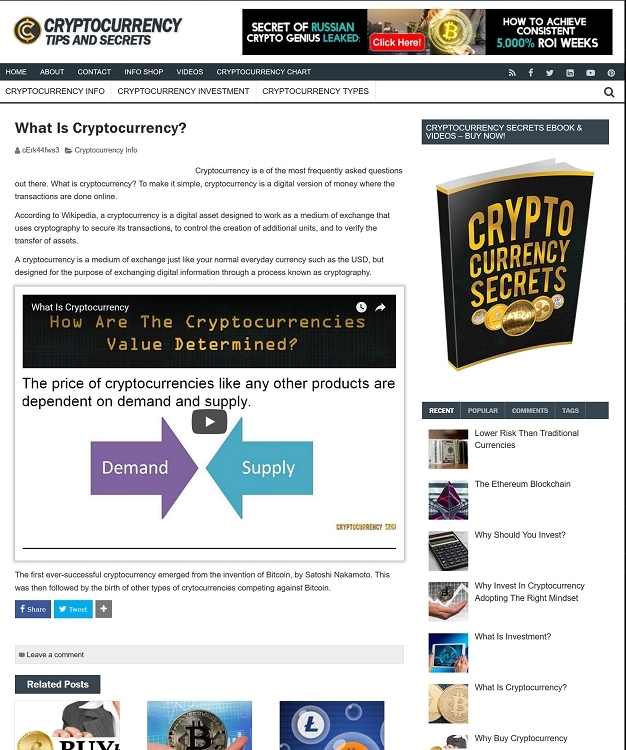 The Cryptocurrency PLR Website is turnkey and includes Bitcoin related articles with great looking graphics. There are also some Affiliate program graphics included on the site which you can easily signup for and make money promoting those Cryptocurrency related programs. You can easily add new content by purchased Cryptocurrency PLR Articles, writing articles yourself, or hiring your own article writers. Cryptocurrency is one of the hottest investment areas now and you can make money with this site in several different ways. 1. Sell The PLR Website or Flip The Site - Since you get Cryptocurrency PLR rights to the website, you can sell the website template to your customers or use it for your own purposes. You can also set the website up on your own domain and then Flip the website and domain through a marketplace such as Flippa, Ebay, etc. 5. 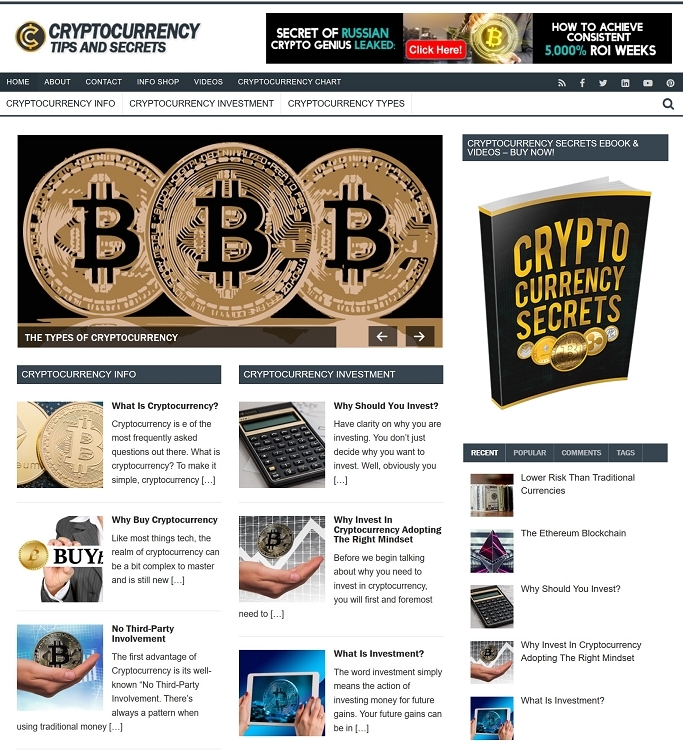 Add Your Own PLR Product - You can buy a Cryptocurrency related PLR product and then start selling it on the site. You can also market it to your mail list. The website comes with installation instructions but you will need your own web hosting account and domain name. You are purchasing the WordPress based Cryptocurrency PLR Website template with all content included.